Customers of energy company Ennatuurlijk are disadvantaged to a few thousand euros per household. 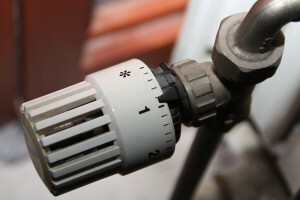 Research by the Municipal Heating Foundation Eindhoven has shown that the company charges 3500 customers in Eindhoven for items which have not been agreed. Discussions with Ennatuurlijk have not yielded the desired result. Therefore we have little choice but to resort to legal collective action. The collective action consists of conducting various legal procedures in which we ask the judge to establish that non-agreed costs have been calculated by Ennatuurlijk. The collective action applies to current/former homeowners and tenants in Eindhoven who are customers or have been customers of Ennatuurlijk. Please note: the collective action does not apply to households that purchase heat from the municipality of Eindhoven, such as in the neighbourhoods Meerrijk and Waterrijk. Residents who are entitled to legal assistance and have received confirmation that their legal expenses insurer is participating in this collective action, we do not ask for a contribution. We ask other residents a contribution of 50 euros per household. For members of Residents’ Association Grasrijk and Residents’ Association Zand-, Bos- en Meerrijk a discount applies. Do you meet the above conditions? Then we invite you to confirm your participation in the collective action. This can be done through our online registration form.